From a statistical point of view, the smoothing spline is less than ideal because the smoothing parameter must be chosen manually by the user. This means that you can specify a smoothing spline parameter that appears to fit the data, but the selection is not based on an objective criterion. 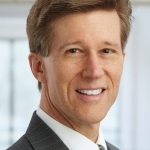 In contrast, SAS software supports several other methods for which the software can automatically choose a smoothing parameter that maximizes the goodness of fit while avoiding overfitting. This article describes penalized B-splines loess curves, and thin-plate splines. 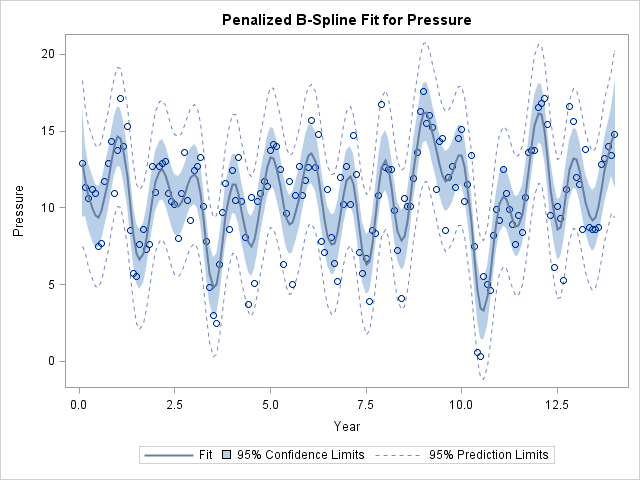 You can fit penalized B-splines to data by using the TRANSREG procedure or by using the PBSPLINE statement in the SGPLOT procedure. The TRANSREG procedure enables you to specify many options that control the fit, including the criterion used to select the optimal smoothing parameter. The TRANSREG procedure supports the corrected Akaike criterion (AICC), the generalized cross-validation criterion (GCV), and Schwarz’s Bayesian criterion (SBC), among others. These criteria try to produce a curve that fits the data well, but does not interpolate or overfit the data. The default criterion is the AICC. To illustrate fitting a smooth curve to a scatter plot, I'll use the SasHelp.enso data set, which contains data on the "southern oscillation," a cyclical phenomenon in atmospheric pressure that is linked to the El Niño and La Niña temperature oscillations in the Pacific Ocean. (ENSO is an acronym for El Niño-Southern Oscillation.) The ENSO data is analyzed in an example in the PROC TRANSREG documentation. 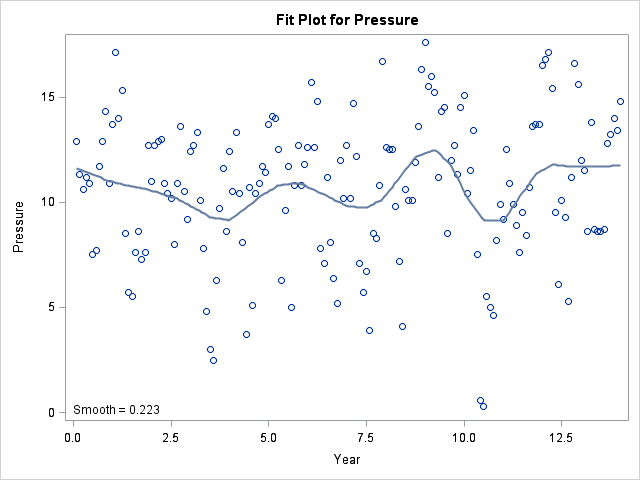 The data shows an oscillation of pressure in a yearly cycle. There are 14 peaks and valleys in this 14-year time series, which correspond to 14 winters and 14 summers. A loess curve is not a spline. A loess model at x uses a local neighborhood of x to compute a weighted least squares estimate. The smoothing parameter is the proportion of data in the local neighborhood: a value near 0 results in a curve that nearly interpolates the data whereas a value near 1 is nearly a straight line. You can fit loess curves to data by using the LOESS procedure or by using the LOESS statement in the SGPLOT procedure. The LOESS procedure enables you to specify many options that control the fit, including the criterion used to select the optimal smoothing parameter. The LOESS procedure supports the AICC and GCV criteria, among others. The default criterion is the AICC. 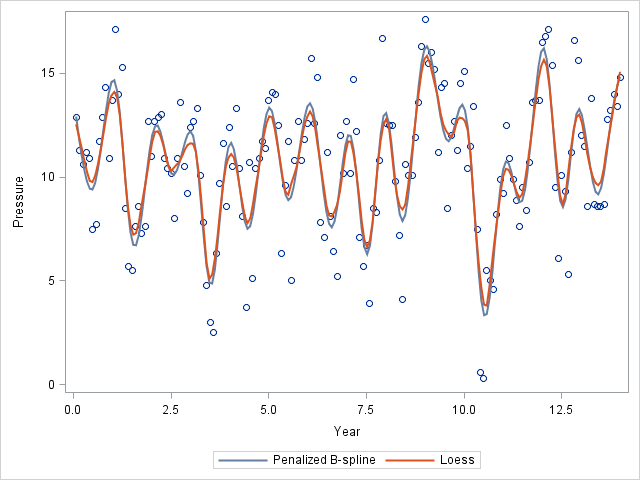 The loess curve looks different than the penalized B-spline curve. The loess curve seems to contain irregularly spaced peaks that are 4–7 years apart. This is the El Niño oscillation cycle, which is an irregular cycle. The selected smoothing parameter is about 0.2, which means that about one-fifth of the observations are used for each local neighborhood during the estimation. 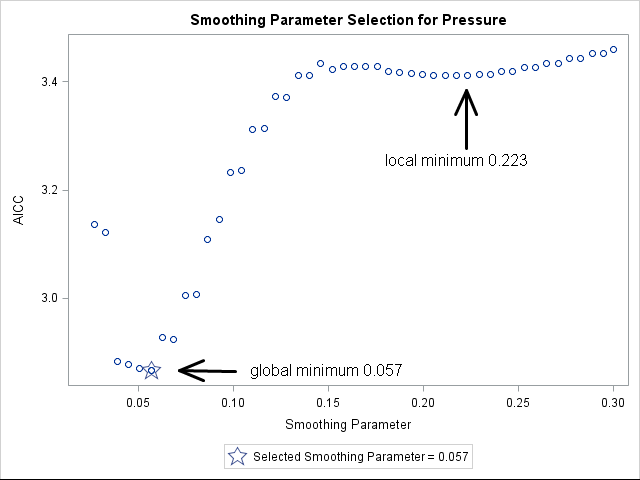 The LOESS procedure supports several options that enable you to explore different ranges for the smoothing parameter or to search for a global minimum. I recommend using the PRESEARCH option in order to increase the likelihood of finding a global minimum. For example, for the ENSO data, the following call to PROC LOESS finds the global minimum at 0.057 and produces a scatter plot smoother that looks very similar to the penalized B-spline smoother. As you can see, the two smoothers produce very similar results on the ENSO data. That is often the case, but not always. In conclusion, SAS software provides several ways to fit a smoother to data. The procedures mentioned in this article can automatically select a smoothing parameter that satisfies some objective criterion which balances goodness of fit with model parsimony. Do you have a favorite smoother? Let me know in the comments. Some of this is in my upcoming talk at SGF. thank you very much for pointing this out. Some months ago I was in need for a smoothing tool with an automated selection of the smoothing parameter and chose PROC GLIMMIX. This prcedure has a smoothing option in the RANDOM Statement which uses the similarity between mixed models and penalized splines. I liked this option because it gives you also a statistical test for the need of smoothing (via the COVTEST statement) and you get pointwise confidence intervals for the smooth line. Thanks for the code and suggestion. Yes, radial basis functions are useful for smoothing of random effects and revealing trends. For these data the radial smoothers oversmooth the data and do not find the underlying ENSO cycles. you're right, you would probably not use the PROC GLIMMIX smoother for the ENSO example because you expect periodic cycles in these data. We were interested in trend changes in standardized incidence ratios for secondary cancers (see citation below) and PROC GLIMMIX worked fine here.